What makes the baby carrier ergonomically correct? Joimove Babies classes are a unique opportunity for learning and experiencing the benefits of babywearing. 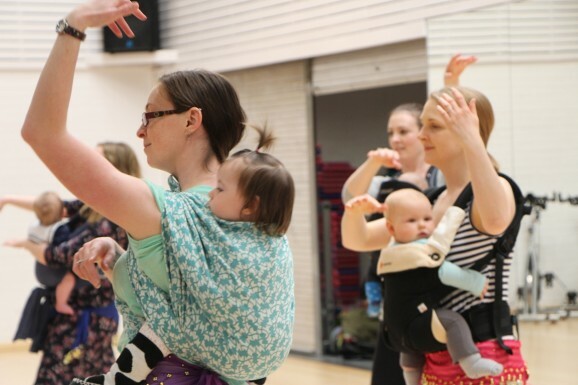 All our instrcutors go through 3 levels of training to provide safe and enjoyable babywearing dancing routines. We care about health and safety and believe that,babywearing exercising is a specialist area that needs to be given attention in order to recieve maximum benefits for both carers and babies. 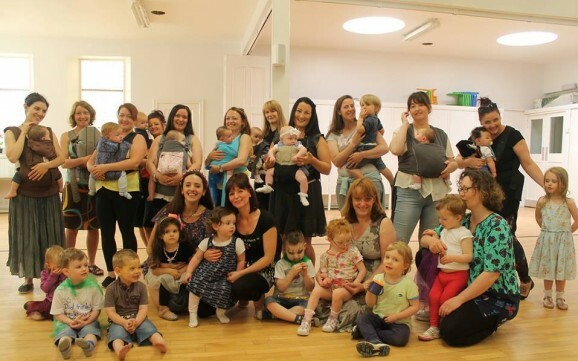 Indeed all of Joimove babies instructors are trained as babywearing peer supporters so if you have questions or concerns about wearing your baby properly, don’t hesitate to contact us! What are benefits of wearing our babies? Carriers designed and worn ergonomically prevents lower back pain and helps to get a comfortable, better posture position. If your baby has reflux, holding them in an upright position would be the helpful to your baby and help them feel more relaxed and comfortable ! Also carrying your baby in the carrier close to your chest gives slight pressure on babies tummy which helps with gas issues. Do you have colicky baby? It is more easily soothed when snuggled and rocked in a carrier. Worn babies loved to be engaged in the world from your arms and feel more confident , social and close to the environment, which can be beneficial later on in their life, being part of the conversations and interactions of daily life. Wearing your baby is also one of the best ways to soothe them or get babies sleep peacefully! Choosing an ergonomically designed type of carrier should help maintain a correct posture and give full support for the baby! 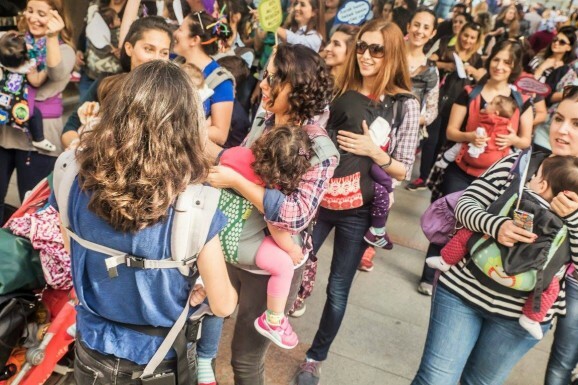 Exercising with babywearing, although it is a fact that carrying your baby means carrying extra weight, this should not be seen as the reason to want to carry your baby, as extra weight which help you to burn more calories. 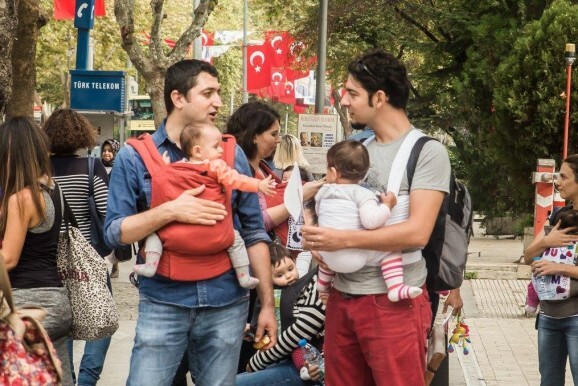 Babywearing, not only makes some tasks easier by freeing up our hands, but also helps to promote attachment parenting and bonding! Babywearing exercises has to be designed and lead by professionals who have gone through training, specifically on babywearing exercising. There are some movements like bouncing, twisting, quicksteps and turns to be aware of, in regards to joints position and mobility!. What makes the carrier ergonomically correct? There are several factors to consider when choosing the appropriate carrier and lots of brands avaliable. We are looking for you to join us, Dance with us, and raise as much funds as we can towards Scotland’s little hearts appeal. 1 in 100 babies in Scotland are born with a heart condition. Thousands more children and young people living with heart conditions are treated at the Royal Hospital for Children in Glasgow. Visit Yorkhill’s website for more info on their appeal. Alternatively you can provide a Christmas Gift to a sick Child this Christmas. o Age-appropriate games and controllers for Nintendo DS, X-Box, Playstation, etc. Please note: We can only accept new and packaged toys and all gifts should be supplied unwrapped. No Soft toys, toys with small parts, those that require batteries or sweets should be provided. 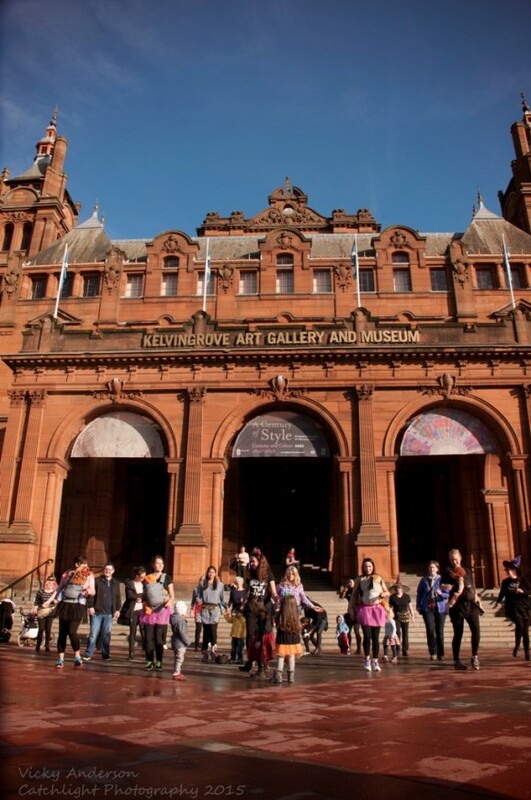 This year, Joimove Glasgow Team have partnered up with Baby Loves Disco, to provide you with an ultimate Christmas Party for you and your little one. dancefloor and enjoy the entertainment on offer! Email: michelle@joimove.com to book your tickets!